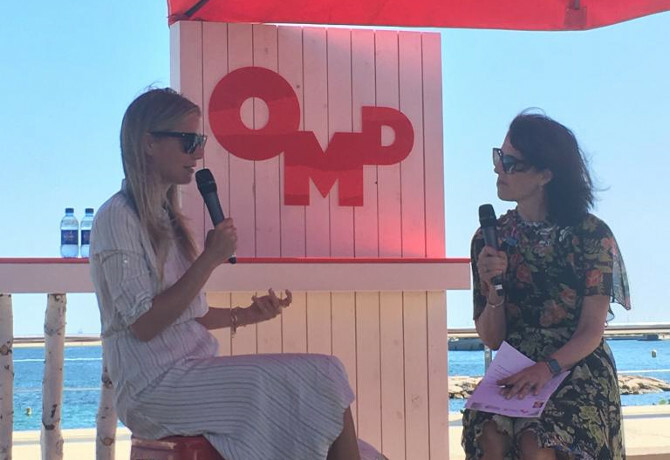 Steve Blakeman, managing director of global accounts at OMD, reveals what happened when Hollywood star Gwyneth Paltrow dropped in at Cannes Lions 2017. The fifth OMD Oasis kicked off yesterday (19 June) with our very own Mainardo de Nardis stating that the Oasis line-up of speaker was arguably stronger than at the Palais itself. It would be difficult to argue with him when the triumvirate of speakers included Imran Khan from Snapchat, Linda Yaccarino from NBC Universal and Gwyneth Paltrow from Goop. Given the star quality of Ms Paltrow it’s maybe unsurprising that there was no room left on the veranda when she stepped on the stage to be interviewed by Monica Karo (OMD CEO US). 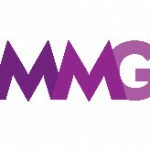 The initial topic of diversity is a key theme at this year’s Cannes Lions and Monica wasted no time in asking why there were so few women in leadership roles and what we can do about it. Gwyneth talked about how women needed an “absolute self-belief” in their abilities and the courage to ignore the people who simply tell them that “they can’t”. The word she used to describe this was “teflonness” which obviously can’t be found in a dictionary but we all know exactly what she means. Intriguingly, apart from those traits of self-confidence and the ability to shun detractors she also focused on how innate “femininity is an asset” and that this “softness” can be used as a genuine advantage. Her e-commerce health and wellbeing business Goop is mainly comprised of women and she alluded to the fact that all her employees have all these elements in their skillset. When quizzed about what scares her, Gwyneth was surprisingly honest with her response: “I’m scared sh**less all the time”. And the main cause of that fear is the unknown. As a relatively new entrepreneur she is evidently keen to learn and cited a number of mentors and colleagues who are assisting her on her commercial journey. So what does she do to counteract those pockets of knowledge that she doesn’t have? Simple. Like all strong leaders, she employs people who are “way smarter than me” to do the jobs that she cannot do. As she so eloquently out it, “it takes a village”. To close the fireside chat, Monica asked her where she wanted her business to be in five years’ time. Her answer was measured and smart. Paltrow wants her business to avoid haphazard growth and grow steadily into a “massive, modern, global lifestyle brand with health and wellbeing at its heart”. And when Goop does push its boundaries beyond the US she wants to guarantee that they are sensitive to culture and values. Simply put? “Do it well”. This is the second year that Gwyneth has attended the OMD Oasis to talk about Goop. She has been impressive on both occasions but this year, even more so. In just one year she has transformed herself from being a Hollywood A-lister trying to become a powerful business icon into a powerful business icon who used to a Hollywood A-lister. Now that’s what I call a transformation.